The European Commission is to open a formal investigation into Apple, Starbucks and Fiat in relation to tax arrangements with three EU countries. The firms' respective arrangements with Ireland, the Netherlands and Luxembourg will be investigated. Announcing the move, tax commissioner Algirdas Semeta said that "fair tax competition is essential". 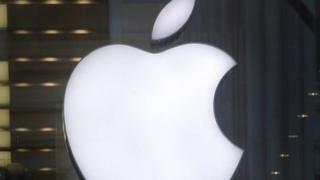 Last year, a US Senate investigation accused Ireland of giving special tax treatment to Apple. The European Commission will look at whether the companies' tax affairs breach EU rules on state aid. Competition Commissioner Joaquin Almunia said: "In the current context of tight public budgets, it is particularly important that large multinationals pay their fair share of taxes." Countries in Europe cannot allow certain firms to pay less tax than they should, Mr Almunia added. The investigations will focus on "transfer pricing", or whether the countries allowed the multinational firms to charge one part of the company over the odds for goods or services from another part of the company as a way of shifting profits. Under Commission rules, companies must charge their subsidiaries market rates. Sanctions for a breach of tax rules could include an attempt to claw money back from Apple, Starbucks and Fiat. Apple said that it had not had "any special tax deal with the Irish government". "We have received no selective treatment from Irish officials," the company said. "Apple is subject to the same tax laws as scores of other international companies doing business in Ireland." The Irish finance ministry said Apple "did not receive selective treatment and there was no 'special tax rate deal'". "Ireland is confident that there is no state aid rule breach in this case and we will defend all aspects vigorously," the Department of Finance said. Last year's US Senate committee investigation revealed that Apple had been able to funnel profits into Irish subsidiaries or "ghost companies" that had no declared tax residency anywhere in the world, cutting billions from its tax bill. The Senate committee hearing revealed that Apple designated its Irish entities as unlimited companies, which meant it did not have to publish annual accounts. The Irish arrangement allowed Apple to pay just 1.9% tax on its $37bn in overseas profits in 2012, despite the fact the average tax rate in the OECD countries that make up its main markets was 24% last year. In a 40-page memorandum, the Senate committee said: "Ireland has essentially functioned as a tax haven for Apple." Coffee giant Starbucks has been embroiled in a tax controversy for a number of years. In 2012, the multinational admitted that it had a special tax deal with the Dutch government which allowed it to transfer money to its Dutch sister company in royalty payments. Starbucks said on Wednesday that its Dutch tax arrangements conformed with financial law. "We comply with all relevant tax rules, laws and OECD guidelines and we're studying the Commission's announcement related to the state aid investigation in the Netherlands," a Starbucks spokesperson said. The Dutch finance ministry said it was confident that its tax system was "robust". "We are confident that the investigation by the EC will in the end result in the conclusion there is no state aid involved," a spokesman told the BBC. The European Commission is also investigating the tax arrangements of Fiat's financial firm, Fiat Finance and Trade. Fiat said that while its financial arm is headquartered in Luxembourg, the investigation is into the government concerned. "We are compliant with all Luxembourg regulations," the company added. Luxembourg has already riled the European Commission over the firm. The Commission said on Wednesday that it was launching infringement proceedings against Luxembourg for giving only partial answers to requests for information about Fiat Finance and Trade tax rulings.